Conor has spent his career delivering large and complex change across Ireland and the UK using multiple delivery methodologies. During this time, Conor has learned that team performance and project outcomes increase when everyone feels included and can bring their best selves to work on a daily basis. If we are to successfully navigate the disruptive trends transforming the way we do business, diversity is a critical part of the equation. We need to harness the power of diverse thinking by enabling people with different experiences and knowledge to come together in an inclusive culture. D&I workplaces ignite innovation and creativity, they help attract and retain talent and they deliver solid business results. D&I must be treated as a business issue. It needs to go beyond badges and banners. Sarah Schutte is a Solicitor at Schutte Consulting Limited. She will be co-hosting with Lee McDonagh. Lee McDonagh is Programme Controls Director at MACE. He will be co-hosting with Sarah Schutte. Raymond Sexton is Founder & Principal Consultant at Tangible. Presentation Title: Is Professional Project Management the Key to Good Government and Societal Development? Leonardo Bittencourt is a Principal Consultant and Ammeon Solutions. Presentation Title: When will you deliver that (in an Agile Project)? Jason Dardis is Programme Manager - Piers & Terminals at Dublin Airport. Emma-Ruth Arnaz-Pemberton is Director Consulting Services at Wellingtone. Liam Sherlock is the Co Chair & Founder of Change Management Institute. Breda Ryan is Head of Project Controls at Jacobs UK. 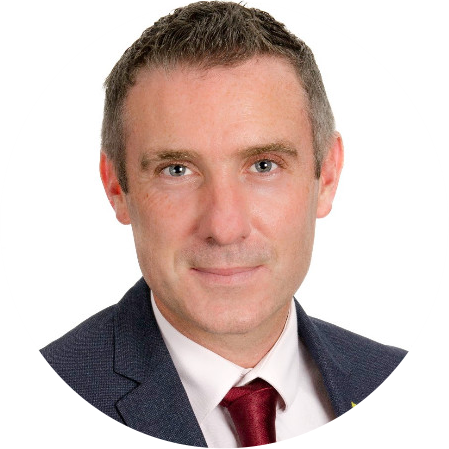 Conor O'Dwyer is Director - Project & Programme Management at EY. Cristiane Pitzer is Agile Transformation Lead at Retail inMotion - Lufthansa Group. Presentation Title: Backlog is Refined & Teams are Agile. Still we cannot Deliver Value at Pace. What Could be Missing? Geoff Roberts is Director, Global Strategy (Energy & Resources) at Oracle. Breda McCague is Transformational Specialist at Bank of Ireland. Brendan Kennedy is MetroLink BIM Coordinator at Transport Infrastructure Ireland. Dr Celine Mullins is CEO of Adaptas. Ken Murray is Senior Project Manager at Guidewire. Presentation Title: Can we deliver truly Agile Projects in a traditional sector like Financial Services?